Kids are always wanting to make mom a gift for Mother’s Day. They want something that is all their own, without much help from anyone, so here are some ideas that are both inexpensive and easy for them. A home made jewelry box: Give the child a small paper mache box - sort of like a jewelry box, any shape with a lid. Now, put down some newspaper, put acrylic paints, brushes, glitter, buttons, charms, ribbon or lace, glue, colored markers or crayons down on the paper, and let your child do the work. You will be surprised what they can come up with. 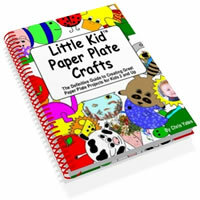 They can also use the same materials to make a card for Mom on Mother’s Day. Just get a thick card stock to fold in half so they can decorate it. You can also use poster board and help them make a big “Happy Mother’s Day” sign, to greet her in the morning with. Another idea is to get some cheap plastic beads with big holes, some string and let them make a matching set of bracelets and a necklace for mom. Modeling clay is always a nice medium to play with. There are clays that only need to dry in the air and need no baking at all. Modeling clay allows your child to form anything that comes to mind. They can use their imagination with no limits, except for the limits of the clay. Once the project is dry, your child can paint it or dress it up any way they want. It is an inexpensive way and fun way of letting your child make and give of their heart to their mom on Mother’s Day. 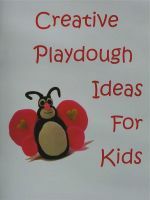 Check your local craft shop for other project ideas that are appropriate for this age group. Take your little one to the store and let them decide what they want to make for mommy. Just remember to read the age group limit on the outside of the box. Always remember to supervise the children, especially with glue, paint and scissors around.